Today is a new day in the Keys. Not because it is a new month or season, but each day we end we begin the next day better off than the day before. We are fortunate to be attached to the continental United States and the help and resources are lifting these islands back up quickly. From the Red Cross to the National Guard to hundreds of church groups helping locals clean up, collectively, the efforts of thousands of people are rebuilding and cleaning up like an army of ants that are fixing the hill after it got mowed. I have lived here most of my life and everything I see every day is unprecedented. Most of this is beyond words that can properly describe what is happening. 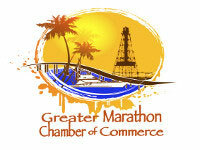 It supports my belief that Marathon will come back like a new shiny penny. I encourage you all to come see the Keys as they are now. It tells a story with many chapters all being written at the same time. The scars of destruction will linger for many years. The awesome power of this storm will leave reminders of this event that will likely outlast my lifetime. The recent rains are bringing greenery back to the landscape. The influx of first responders, contractors and volunteers have diversified the conversations at the bars and dinner tables when the days end. There is enough local attractions up and running to accommodate tourists, but there is a new opportunity open for tourists to be a part of the restoration effort to help this community. You are welcome to come here and get your hands dirty and volunteer a small portion of your time here doing good for any cause you can imagine. You can’t walk 100 feet or talk to more than a few people to find somebody that can benefit from your help greatly. Speaking for myself and others , I can tell you we are all worn out. September was a month where we watched vigilantly, we prepared, ran, regrouped and began recovery and are now fighting to get back what once was our “normal.” It has been a long road and will continue to be for some time, but the feeling you have at the end of night is complete and utter exhaustion. There are some amazing people here rebuilding our community and this will all be well behind us some day and be something we can tell numerous stories about to many generations to come. Irma has etched its place here in our history for all the wrong and right reasons. 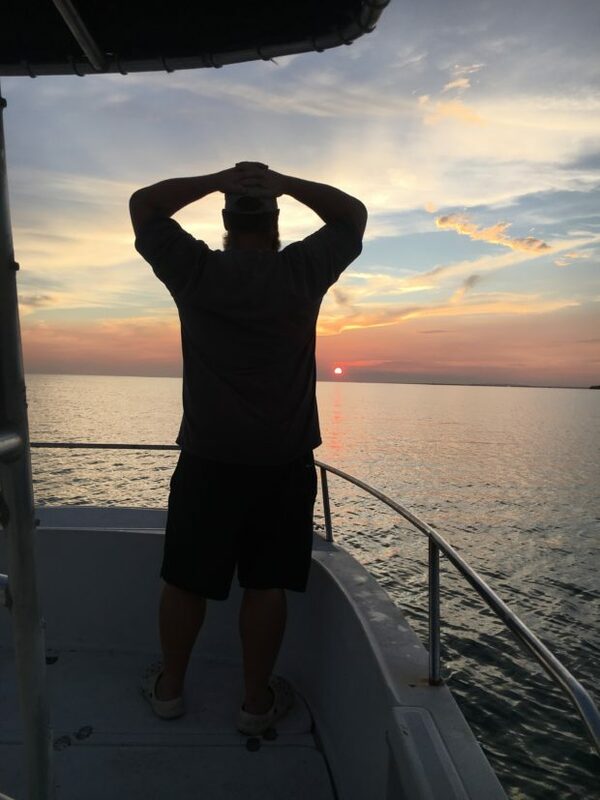 The Keys spirit is still very alive and we will celebrate sunsets and daily life and fishing trips with more enthusiasm when the normal is fully restored for all of us. The Keys are a tourism dependent economy and we look forward and need you to keep our economy healthy. Lodging will be a bit more difficult because many of out hotels and vacation rentals are currently being renovated. Please make the extra effort to find a place locally that you have never tried before. I have had many customers cancel their scheduled trips because the place where they usually stay is currently closed. If this is the case, ask me and I will see what I can to to help you. Lodging is available, you just might have to do a little more homework than your last visit! I just ran my first fishing charter since the storm. Nobody has been out fishing and it was 100% a pioneering trip. A tropical system is here for the first week of October and limited what I can do with the weather I had to work with. Thankfully it was reasonable enough to fish the bay side for snapper. We caught 10 species of fish and limited out on quality size mangrove snapper in a few hours. It was a very solid trip is not so great conditions and the result was much better than I expected. Typically fishing is excellent after such events. I can tell you there will be many new wrecks and debris piles to fish and there ought to be tons of very hungry fish out there. Our local waters are clearing up and the giant mats of dense weeds that has prevented us from getting out has rotted away and mostly dispersed. Channels have shifted, debris remains everywhere and local navigation is still tricky and will be for some time. I do not recommend bringing your own boat down for a while unless you have plenty of local experience. Hiring a guide makes more sense than ever right now because all that has changed and all the water hazards that exist. 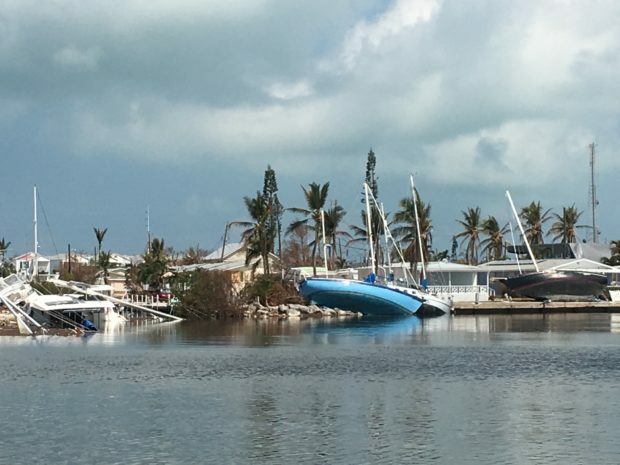 Boot key harbor has hundreds of submerged sunken boats scattered everywhere, even in primary channels. 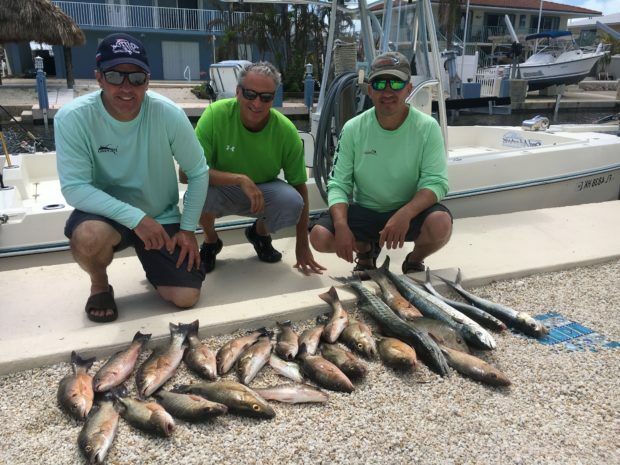 Florida Keys Reel Adventures is open for business. Hopefully water conditions improve after this early October tropical system passes and our water clears up. Fishing trips are ready to go, but in the water trips may be delayed until out water clears up with a little more regularity. 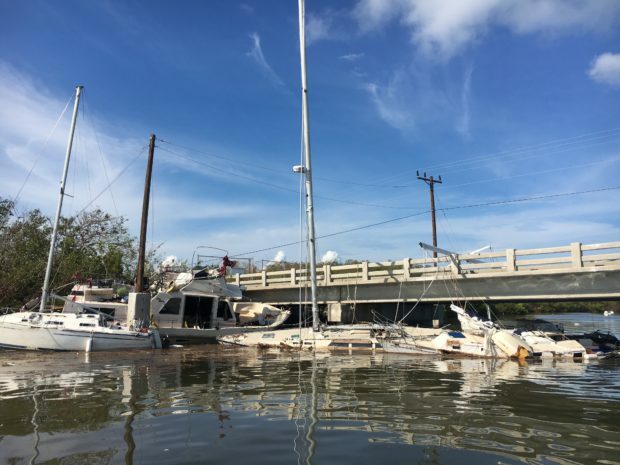 I have heard reports of clearing water in the upper and lower Keys, so we should be next. Please call me and ask about conditions before booking an in the water trip.